Call us at (215)334-2020 in Philadelphia or (856)223-9100 in Mullica Hill. Dr. Landrum is an independent optometric physician practicing in the greater Philadelphia area. He provides examinations of the eyes and applicable visual systems for defects or abnormalities as well as the medical diagnosis and management of diseases of the eyes, with emphasis on glaucoma diagnosis and management, dry eye syndrome and pediatric care. Dr. Landrum has acquired years of additional training as a behavioral optometrist, who will look at your vision from a holistic standpoint. This is particularly important for students of all ages who may be experiencing unexplained learning difficulties, particularly with reading, comprehension and writing. 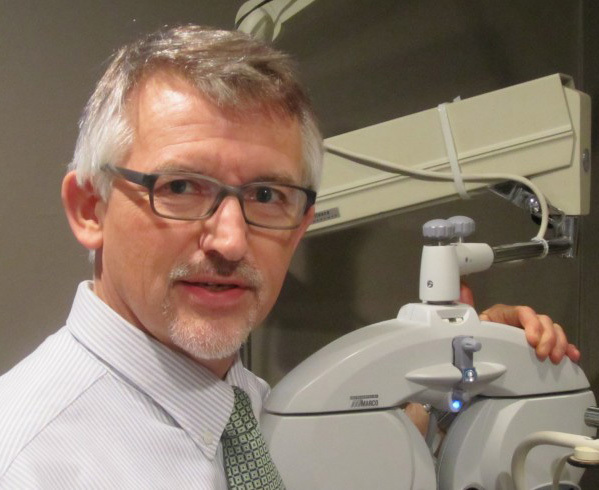 Dr. Landrum became interested in optometry as a young man. He had an uncle who was an optometrist practicing in Kentucky, and he his own vision problems. (Contact lenses changed his life!) Attending Pennsylvania College of Optometry brought him to the area, where he married, raised a family and has practiced for the past 30 years. One of his first jobs involved seeing patients in nursing homes. He counted this job a blessing because he enjoyed the stories the older folks told, and valued the opportunity to see so many conditions of the eyes. Without this experience, it would have taken years in private practice to gain the understanding he found there. Over the years in private practice, he took care of workers in factories, providing safety glasses. He has had an office in South Philadelphia where he has taken care of generations of families, some with ties to his own family, and dear friends. The office in Mullica Hill is truly a 'home' office, where Dr. Landrum has been able to care for neighbors, friends and family for 25 years. The need for one of his own family members to have vision therapy created a desire to be able to provide the same amazing solutions to other families. With a thriving practice, he continued to pursue the training needed to become a behavioral optometrist. Dr. Landrum's philosophy is to always be learning new ways to be of service to his community in a meaningful way. He is delighted to take care of the vision needs of you and your family. "Dr. Harry Landrum is the best at what he does and makes you feel right at home." "Dr. Harry Landrum and his staff are courteous and very professional. I wholeheartedly recommend Landrum Vision!"